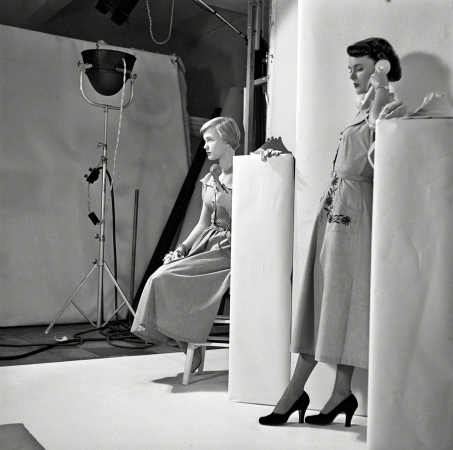 From photos by Stanley Kubrick and Janet Mevi for the Look magazine assignment "American Look." 1949. Nineteen-year-old fashion model Ann Klem (seated).